The Buffalo School Board needs extraordinary leadership to dig the troubled district out of its hole. When Pamela Brown arrived in Buffalo nearly two years ago as its new school superintendent, it seemed like a hopeful moment. Although her resume may not have been ideal, it included enough strengths to overcome concerns that the board had made an error in not keeping Amber Dixon. Almost immediately, though, Brown began to undermine confidence in her suitability for what is unquestionably the most challenging position in Western New York. It began with her insularity, failing to reach out to the community and to accept help when it was offered. It soon got worse. Under Brown’s leadership, the district has been unable to produce required documents that meet state standards. Its plans to turn around failing schools were repeatedly rejected, while Brown sidestepped responsibility. It was so bad that State Education Commissioner John B. King Jr. observed that over a period coinciding with Brown’s arrival, the district had demonstrated a habit of “shading the facts” in explaining away its chronic failures. And there is more: The sneaky maneuver to hire Mary Guinn as interim deputy superintendent; the hiring of two other administrators who lacked state certification for those positions; the sneaky and ultimately unsuccessful maneuver to rehire them as overpaid interns. It’s been one disaster after another, with Brown showing no ability to grow or to acknowledge the problems that trail her like tin cans tied to a car. That is why the issue of Brown’s tenure drove our endorsements for the three at-large School Board seats that Buffalo residents will vote on May 6. Other issues are important in this election, but those matters demand solid leadership. The first order of business is to elect members who understand the urgent need to dismiss the superintendent, and who will then do it. Beyond that, the school district is a nearly $1 billion-a-year operation, and one whose board members are facing extraordinarily serious issues, including a huge budget deficit. Members need to have the background to do the job. We have endorsed the three candidates we think are best suited, but the fact is that many people are running who, in another year, could easily rise to the top of any list. 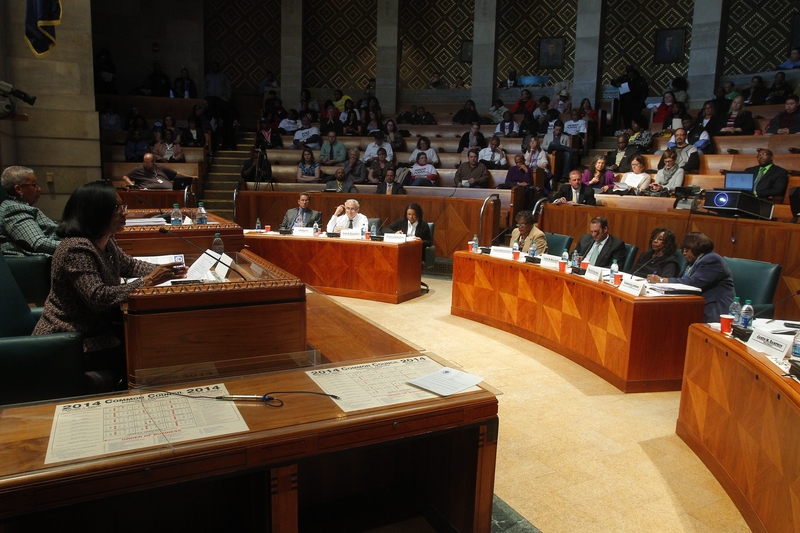 Buffalo is fortunate to have so many strong candidates seeking these critical positions. Sadly, the School Board has been divided by race, and our endorsements won’t do much to close that racial divide. We recognize the value of a diverse School Board in this majority black district. But radical change is necessary, and after much discussion, the editorial board backs the three candidates we believe have shown the commitment to dramatically change the district, and have the background to make it happen. While several other candidates are also worthy, in the end, they fall short. • Larry Quinn. Of the 13 people on the ballot, Quinn is the one who is indispensable. He has had a breadth of experience, ranging from Buffalo’s economic development commissioner to managing partner of the Buffalo Sabres. He has the skills to create order out of chaos. He is, as he says, “a pretty innovative guy,” which is a quality the school district desperately needs. While Brown is “not really the problem,” he said that based on what he has seen, he would vote to fire her as a step toward fixing a broken system. • Patricia A. Pierce. A confidential criminal investigator for the Erie County District Attorney’s Office, she has had a long career in law enforcement. As a police officer, she quickly identified lack of education as a driver of many problems. As such, she wants to build a team of professionals to combat truancy. That team would include the return of truant officers. She also understands the problems caused by Brown’s lack of transparency and communication, as well as her lack of leadership and weak ideas for turning around failing schools. As much as anything, though, it is Pierce’s passion for the work together with her law enforcement experiences that make her such an attractive candidate. • John B. Licata. He is the lone incumbent that we are endorsing and, while we don’t agree with all his positions – he opposes more charter schools in the district, for example – he is a solid candidate and the first order of business should be to do no harm. The board can’t afford to lose competent, qualified members. He should be re-elected. As we noted, several other candidates are passionate about the district and, whether they win or not, we hope they stay involved. They include Adrian Harris, Wendy Mistretta, Bernard Tolbert and Bryon McIntyre. In particular, we were struck by Stephon M. Wright, who in 2012 was elected the board’s first student member, serving in a nonvoting capacity. As youth development specialist for the Boys and Girls Club of Buffalo, Wright is already a champion for children; with a little more seasoning, he could be their champion on the School Board.